Ever find .22 bullets when metal detecting? What do you do with them? Most of us simply drop them in our pocket and get a little irritated that the signal was not the Civil War find of the century. I started looking more closely at them about a year ago. Why could you not apply the same forensic techniques to these bullets as you should be doing to Civil War bullets? Why not figure out what rifle fired them? The technique is exactly the same. Most fired .22 bullets have a unique rifling pattern that points back to the rifle that shot them. 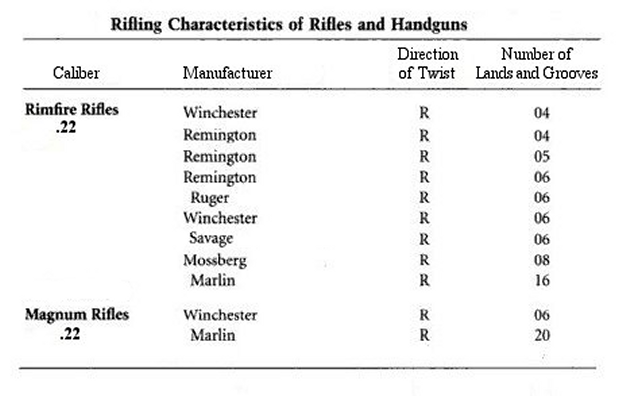 The table below shows the various rifling patterns for .22 rifles and handguns. 22 caliber cartridges come in several cartridge types and lengths. 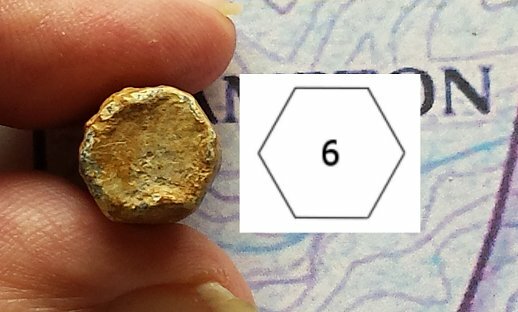 There are four common bullets found in the field during metal detecting. These are the Short, Long, Long Rifle and Magnum. The cartridge casings are differing in size from the Short to the magnum reflecting differing amounts of powder charge and also muzzle velocity. The bullets shapes are identical in the Short and Long and the Long Rifle has a more elongate bullet as seen below. The Magnum uses a larger casing than the more popular Long Rifle, both in diameter and length. It also has a more pointed bullet reflected its higher muzzle velocity. 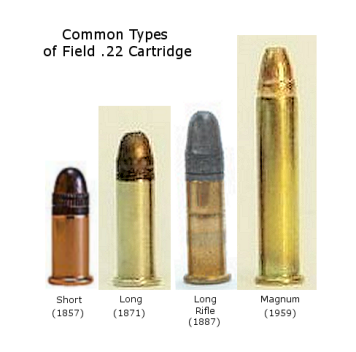 Types of .22 caliber bullet types that are commonly encountered while metal detecting. The introduction dates for each cartridge are also shown. .22 bullets are generally either plain lead (for standard velocity loads) or plated with copper or gilding metal (for higher muzzle velocity loads). Dimensional characteristics of common .22 caliber bullets found in metal detecting. Rifles that have fired these bullets can be identified by the number of their rifling lands and grooves imparted to the bullet. This has been designated as L&G in the photos below. The number of lands always equals the number of grooves. 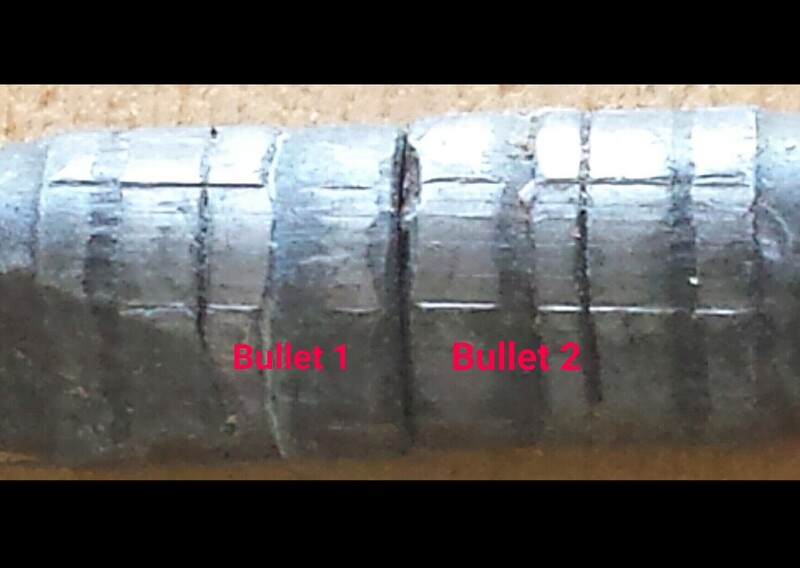 The picture below shows a .22 caliber fried from a Winchester rifle and imparted to the bullet are six rifling lands and grooves that ate unequal in width. 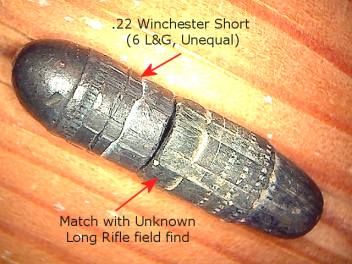 Bullet fired from Winchester rifle showing 6 lands and grooves of unequal width. Here is a Remington rifle bullet showing 4 lands and grooves of equal width and another Remington bullet showing 6 unequal lands and grooves. Remington can also have 5 land and grooves. Winchester fired bullet showing 6 lands and grooves (unequal) and a bullet fired from a Savage also showing 6 lands and grooves and also unequal. Here is a listing of the land and groove measurements for these bullets. Note: The values for the Savage (6L) and the Remington (6L) are almost identical. Making a identification with known shot bullets is relatively easy. Either match the unknown bullets against standard bullets fired from known rifles (shown to the left) or simply measure the width of the lands and grooves using the above table. Just counting the number of lands and grooves on a bullet gets you about half-way to the identification of the rifle that fired it. . 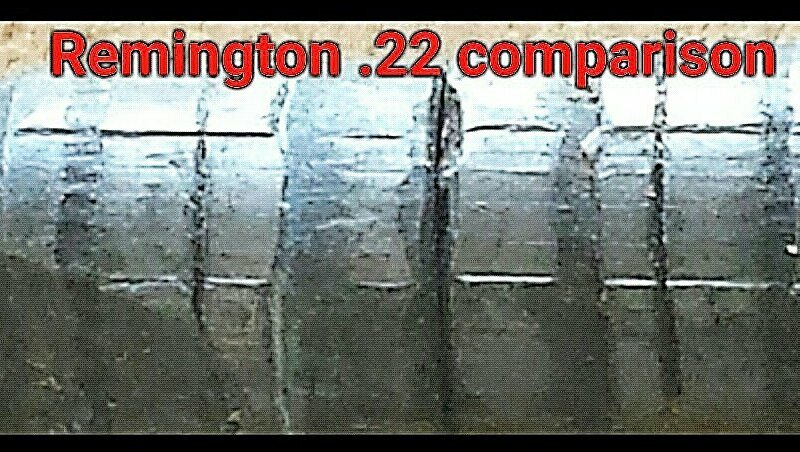 Detail of 2 Remington .22 bullets taken with Android smart phone. Because the bullets are small magnification is necessary to get the job done. 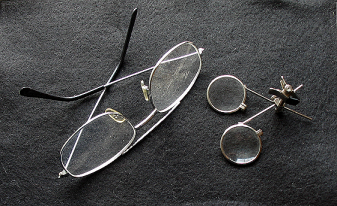 If you wear glasses, use a set of cheap clip-on magnifiers or purchase a set of 3+ diopter reading glasses to get the job done. A good pair of electronic calipers (less than $20) will also aid in the identification. Typical Magnification items that aid in the identification of firearms used on .22 caliber bullets found in the field. The formula evaluation is then “rounded-up” or “rounded-down” to the next whole number. So an evaluation of 5.96 rounds up to 6 and 6.23 rounds down to 6. This depends on the accuracy of your measurements of the bullet. Right: Measuring a bullet groove with an electronic caliper. On relatively non-deformed bullets, it is best to position yourself directly under an overhead light and rotate the bullet parallel to the floor. This maximizes to contrast of the lands and grooves. Mark a land or groove with a colored pencil and rotate the bullet counting lands or grooves till the pencil mark is reached. The number of lands will equal the number of grooves. 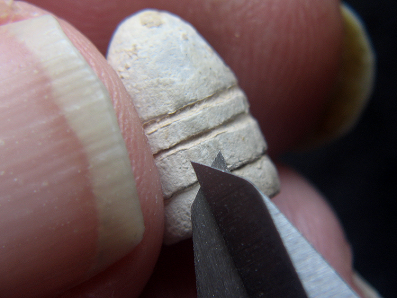 This is also the procedure for counting lands and grooves on Civil War bullets. Sometimes on larger caliber bullets, the process can be shortened by matching the shape of the base of the bullet to one of the figures below. Basic shapes of the base of bullets that can be used to count the rifling lands and grooves. 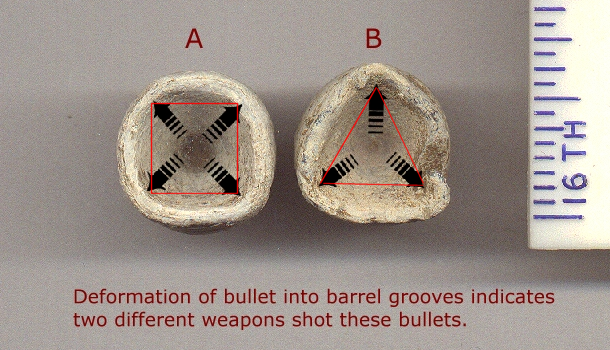 At every point on these figures a barrel rifling groove is present on the bullet and flat areas represent are the location of lands on the bullet. Profile of a Civil War carbine bullet. Most Civil War .58 bullets are triangular at the base and have 3 lands and grooves. Many modern bullets and Civil War carbine bullets have the higher number of base shapes. 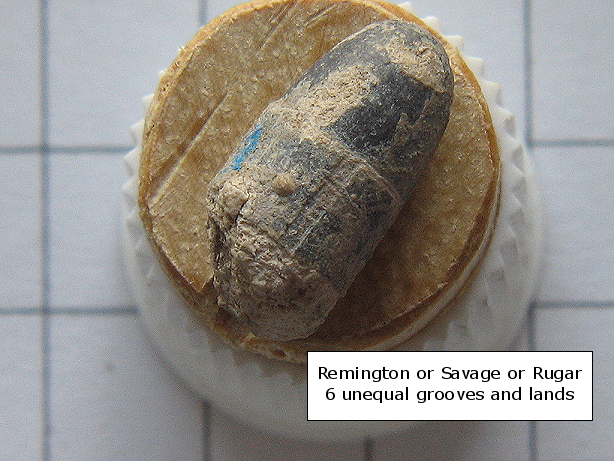 Below are two Civil War bullets with differing lands and grooves. Bullet “B” is typical of most .58 caliber bullets. Bullet “A” is probably Austrian. Another clue to the identification of the firing rifle is the estimation of the relationship of the groove width to the land width. Frequently the groove width on unequal rifling is an approximate multiple of the land width. The examples and identifications shown below show such relationships. Field Find: Remington-Savage-Rugar Short or Long with 6 unequal lands and grooves. 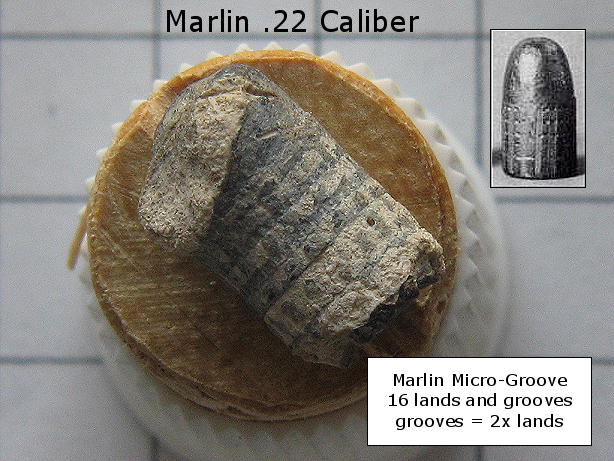 Note that groove width on this bullet is approximately three times the land width. 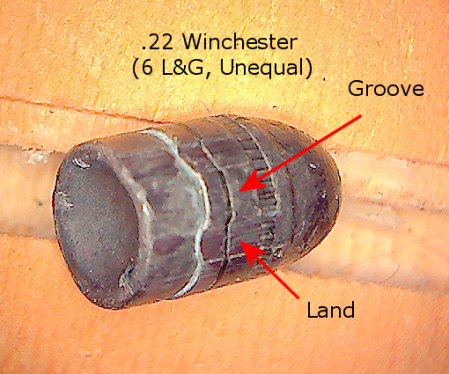 Winchester Identification was eliminated since its groove widths are approximately twice its land widths. The blue mark on the left side of the bullet is from a colored pencil and is as a starting place for a land and groove count. Marlin uses Micro-Groove rifling in its rifles since the 1950s. There are 16 lands and grooves in Marlins chambered for the .22 Short, Long and Long Rifle cartridge and 20 lands and grooves for .22 Magnum cartridge rifles. The rifling difference between Micro-Groove and regular rifling is Micro-Groove has very narrow lands and grooves with grooves being twice the width of the lands. Field collected .22 Long Rifle Martin Micro-Groove bullet. Grooves are twice as wide as lands. The author recently was able to get extreme detail on the striations in the grooves portion of two Remington bullets laid side to side using a cell phone magnification application. The results are shown below. Extreme magnification using cell phone application.